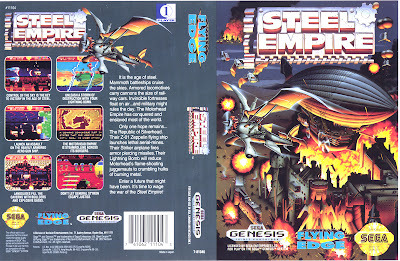 retrogameart.com: CGR review of Steel Empire! 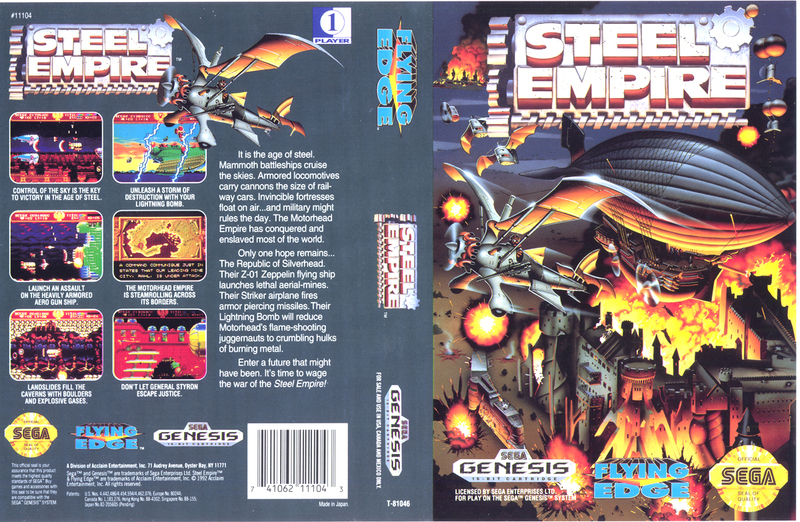 CGR review of Steel Empire! 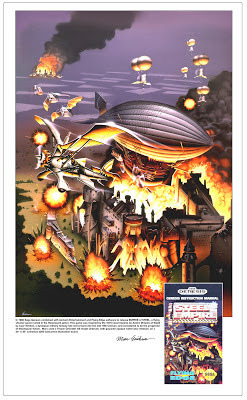 It was with great enthusiasm that I realized Mark Bussler, of Classic Game Room fame, gave me a mention bigtime with his review of the iconic SteamPunk retro 'Empire of Steel' for Sega Genesis, one of the games I did the packaging art for back in the nineties! The nice thing about the job was that it gave me a lot of latitude to have fun developing the imagery for the cover based on some wonderful animation (circa 1992) that they showed me in the Beta version. As Mark said, (I paraphrase) ..." how about blowing things up with a BLIMP!" 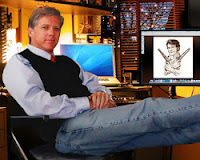 Sega also asked me to design and render Steel Empire's gnarley, rust and pitted steel, gear grinding title art. Always one of my favorites, it was among the first images I remastered as a print, and autographed, it sold well at the Portland Retro Game Expo last September.